This short review of the Greek pantheon (there is little about Rome), is part of a series of inexpensive adult education books published during the 1920s. WE have already said that Homer was not the starting-point for Greek religion, yet we begin with Homer. This for a double reason. First, the gods of Homer are fairly familiar to all, and it is well to begin with what is known; second, mythology is our main concern, and though he is certainly not the starting-point for religion, yet Homer undoubtedly is the starting-point for mythology. "But as to the origin of each particular god, whether they all existed from the beginning, what were their individual forms, the knowledge of these things is, so to speak, but of to-day and yesterday. For Hesiod and Homer are my seniors, I think, by some four hundred years, and not more. And it is they who have composed for the Greeks the generations of the gods, and have given to the gods their titles and distinguished their several provinces and special powers, and marked their forms." According, then, to Herodotus, the mythology of the Greeks, or if we prefer so to call it, their theology, what they believed as to the gods, their origin, character, habits, appearance, attributes, was not in the main the simple outcome of popular faith, still less was it a compilation due to a priesthood; it was the work of the poets. Theology was a thing "composed" advisedly, "put together" by a number of epic singers, and this process was, according to the historian, "a thing of to-day and yesterday," fairly complete some nine centuries before Christ. 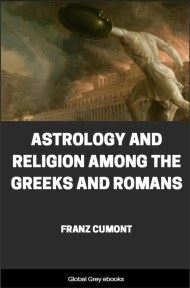 We have noted the traditional tendency to study Greek mythology apart from ritual and as ancillary to literature. Now, we see how this came about. 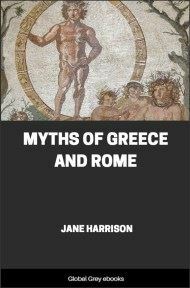 Greek mythology is, on the showing of Herodotus, largely the outcome of literature. 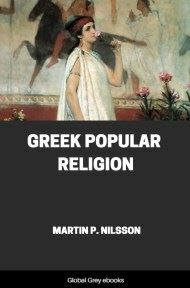 But if the religion of Greece, and especially its theology, is mainly made by Homer, what was the material out of which he made it? No one supposes that Homer created the gods, he only "composed their generations and marked their forms." What, then, were the gods before Homer? It is Herodotus again who informs us. He knows of a people dwelling in Greece before Homer's days, and their theology, as described by him, is in marked contrast to that of Homer. "Formerly," he writes, "the Pelasgians on all occasions of sacrifice, called upon theoi (gods), as I know from what I heard at Dodona; but they gave no title nor yet any name to any of them." 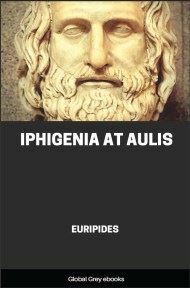 There was, then, a time in Greece, if we may trust Herodotus, when a people lived there called Pelasgians, and when his people worshipped gods who were not individualized, not called by proper names, such as Zeus and Athene, nor even by vaguer titles such as "the Grey-Eyed One" or "the Loud Thunderer," when, in a word, the gods were things, not persons. Can we believe Herodotus? Broadly speaking, we can, because, in the main, he is confirmed by philology, comparative religion, and prehistoric archæology. 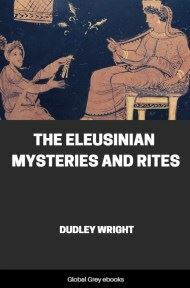 Among the Olympians, with whom we must now make acquaintance, we shall find gods who are obviously in part "Pelasgian." The Olympians dwell on Olympus, a mountain on Thessaly, from which they take their name. They are Northerners. 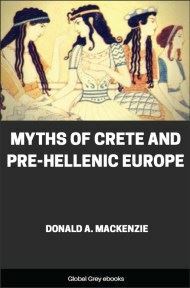 The Hellenes, who worshipped them, were an immigrant people, who came down from the valley of the Danube and conquered the indigenous Pelasgians. Homer's Achaians are but one offshoot of those tribes of northern warriors who later, as Dorians and as Gauls, again and again invaded the south, conquered and blended with the smaller, darker, indigenous peoples, and, by blending with them, saved them from being submerged in the great ocean of the East. Homer's Achaians closely resemble the large-statured, fair-haired, blue-eyed population of the north, whose blood is in our own veins. The indigenous "Pelasgians," Herodotus tells us, "had never emigrated, but the Hellenes 'had often changed their seat.'" Their first settlement in Greece was in Thessaly. "Hellen and his sons," says Thucydides, "grew strong in Pthiotis." It was these Northerners, these Hellenes, these Achaians, who led the expedition against Troy. The Trojan War was the first collective enterprise, according to Thucydides, that gave unity to Greece. Once awake to this northern element in Homer we are no longer surprised to find his Olympus a certain forecast, as it were, of the atmosphere of the Eddas. The gods of Homer, it has often been noted, are magnified men; but why are they so very big and so very boisterous? Simply because they are, in part, Northerners. Vastness, formlessness, fantastic excess are not "Greek" in the classical sense. Very northern are the almost Berserker rages of Zeus himself and the roughness of his divine vengeance. To wave his ambrosial locks and shake Olympus by the nodding of his brows, may be both Greek and godlike, but how about such manners as "pushing the other gods from their seats," "tossing them about the hall"; hurling his son by the foot over the battlements of Olympus; beating his wife and hanging her up with anvils to her feet, suggesting that she "would like to eat Priam raw"? There is such magic in the words of Homer that we are apt to forget that these are not the ways of Greek gods, however primitive, but the rude pranks of irresponsible giants. The old theoi have been, indeed, considerably "tossed about" and are none the better for the process.